Scholars Pay it Forward — D.R.E.A.M. 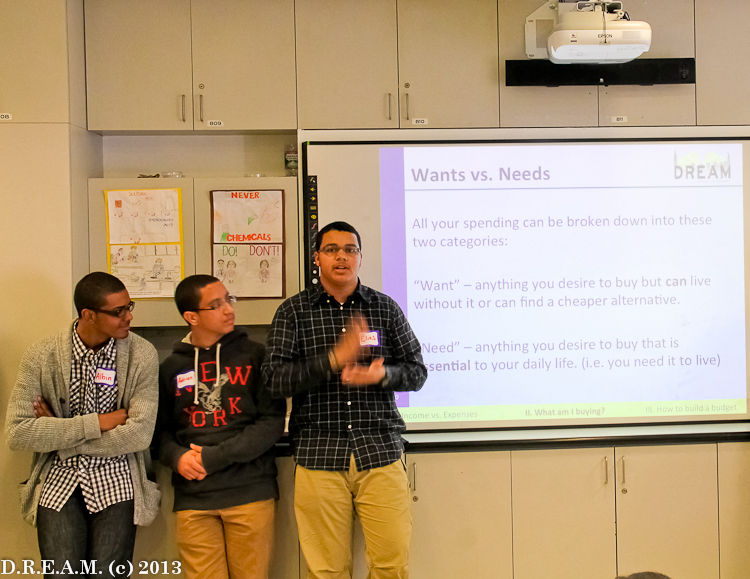 On Saturday, April 27th the scholars of the Class of 2014 of our “Invest-in-Success” program had the opportunity to lead a 1.5 hour long workshop on budgeting and the basics of money management for a group of middle school students from the Liberty LEADS program at the Bankstreet College of Education on the Upper West Side of Manhattan. The workshop was planned in recognition of National Financial Literacy Month. 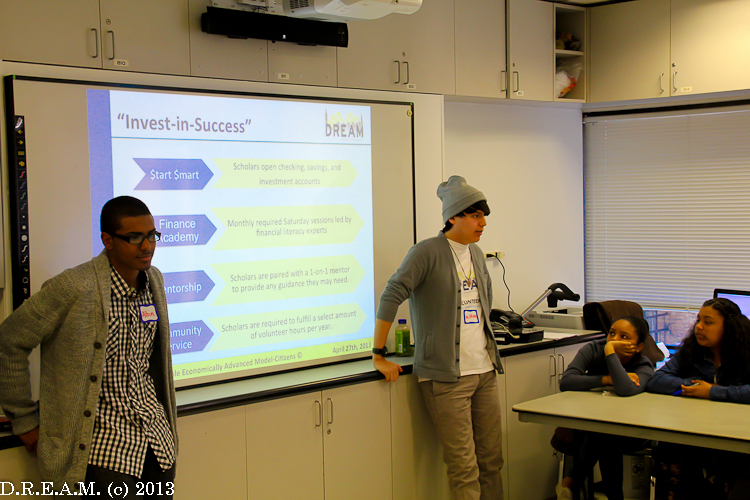 The workshop was the manifestation of the vision of the Co-Founders of D.R.E.A.M. when they created the idea for the “Invest-in-Success” program in 2009. The Co-Founders knew an important component of creating a generational change in the culture and perceptions regarding personal finances in urban communities would require D.R.E.A.M. trained evangelicals that would work within their communities to spread the knowledge. 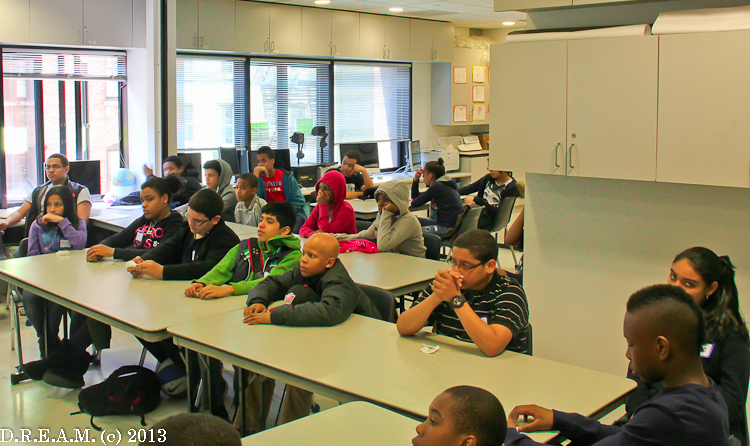 “Having scholars lead sessions for middle school and elementary school students was a vision we had while the organization was in its nascent stages. The Scholars serve as a bridge between adults and a younger demographic in helping to spread the important message of financial literacy. We are very proud of our scholars for leading this session and we look forward to similar events in the future,” said Co-Founder and Chief Executive Officer, Femi Faoye. D.R.E.A.M. would like to send a special thank you to Shawn Williams and Ana Tiburcio of the Liberty LEADS program for coordinating the workshop and hosting our organization. We are grateful for your support and continuing partnership in assisting us in spreading the knowledge of financial literacy to the youth of New York City. For more information on the extraordinary services Liberty LEADS provides for youth, please visit their website.